Trinity Mirror titles the Daily Mirror, Sunday Mirror and Sunday People – were the three newspapers hardest hit by industry-wide decline in print circulation figures, new ABC figures for October show. Worst performer the Sunday Mirror was down 24 per cent on the same period last year from 680,497 to 516,786. It was closely followed by the Sunday People, which dropped 21 per cent year-on-year to 206,593. The Daily Mirror was down 20 per cent year-on year to 603,629. Trinity Mirror said this was partly due to reduced foreign circulation and cutting back on bulk freebies. The Sun on Sunday is the best-selling Sunday newspaper with a circulation of 1.29m in October. The Mail on Sunday is behind at 1.19m. When bulks are taken into account, the gap narrows to within 4,000. Both titles have seen a drop in circulation of nearly 10 per cent on the same period last year. The Sun, still Britain’s best-selling newspaper, also fell by nearly 10 per cent year-on-year to 1.51m. The Metro is still the UK’s most-read title, having overtaken the Sun earlier this year, when it comes to Monday to Friday circulation/distribution within the UK and Ireland (The Sun is at 1,417,004 in the UK & ROI Mon -Fri compared with 1,472,781 for the Metro). The Daily Record in Scotland was the biggest-falling national newspaper, down 14 per cent year-on-year to 139,703. 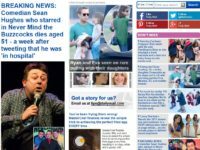 The Daily Star fell 12 per cent year-on-year to 406,864. The Times, and The Telegraph charge for their journalism. The only ones seemingly not falling through the floor. Strange, that. There really is no going back for newspapers even the free ones are starting to see small declines. 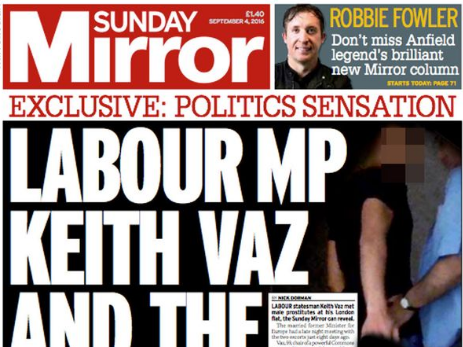 Why Trinity mirror still sells two Sunday newspapers is beyond me. The smart thing to do would be to end the Sunday people and use the extra money to go all out to make a bulky and quality Sunday newspaper that people want to read.